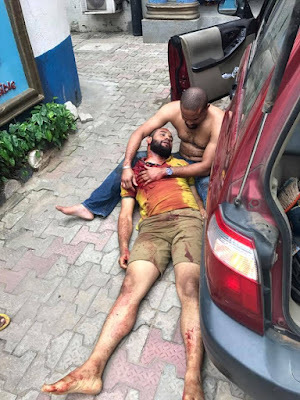 Home / Unlabelled / Breaking News :- Gulder Ultimate Search Winner shot Dead!! Breaking News :- Gulder Ultimate Search Winner shot Dead!! According to multiple reports and a photo making the rounds on social media, Hector Joberteh, the winner of Gulder Utlimate Search Season 3 in 2006, who married his sweetheart Oseyi, a former GUS contender in April, 2013, has been shot dead by unknown gunmen.